Make this your new BFF. The possibilities are endless! Yes, yeast. The good kind. Super healthy. So I mentioned this a while back. Any vegan or health enthusiast knows that Nutritional Yeast is a “nutritional powerhouse” and needs to be a key item in your pantry. 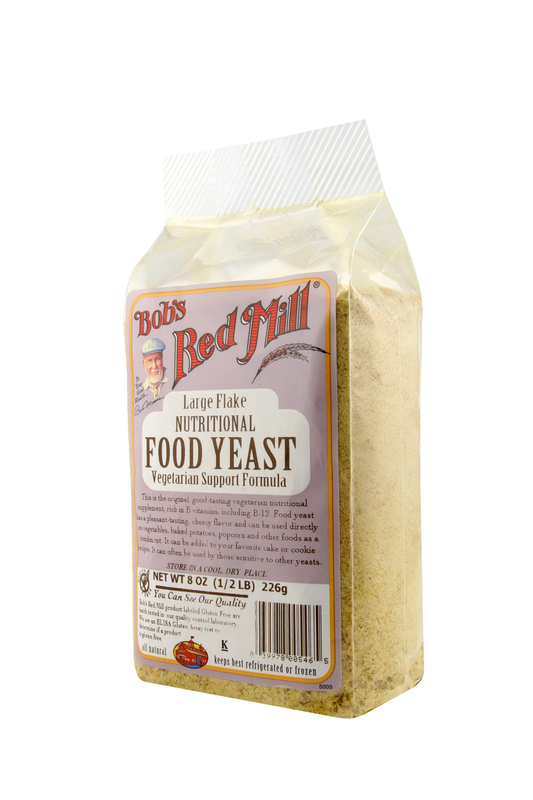 But if you are just starting out, you might not know what nutritional yeast is or what the heck to do with it. I started on nutritional yeast about 4 years ago when I became vegetarian. Mainly because it is an excellent source of B-12, which is often lacking in a vegetarian diet. Although I added it to my diet for health purposes, I really had no idea what I was in store for. This stuff rocks and does not need to be limited to vegetarians. Check it out. Your taste buds and body will never be the same. 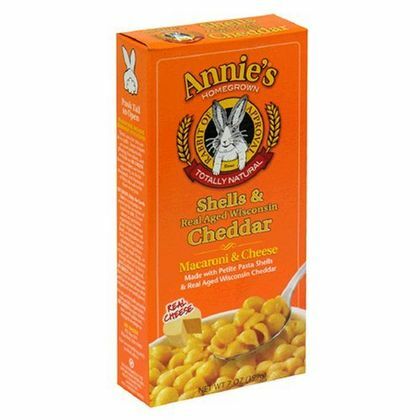 If I am going to give the My Foodie Call family Mac n Cheese from a box, you had better believe that it will be Annie’s, Organic, and have nutritional yeast stirred in. mixed into salsa and then added to tacos, burritos, quesadillas. Hungry yet? Basically anywhere you want a cheesy flavor! Where do I get this? Most health food stores will have it, but I find it can be pricey. Like everything, I just order online. My nutritional yeast is on automatic delivery from Amazon and comes 4 packages in a box. Online shop for this stuff. Way easier. Besides, it is super fun getting a package in the mail. For real. 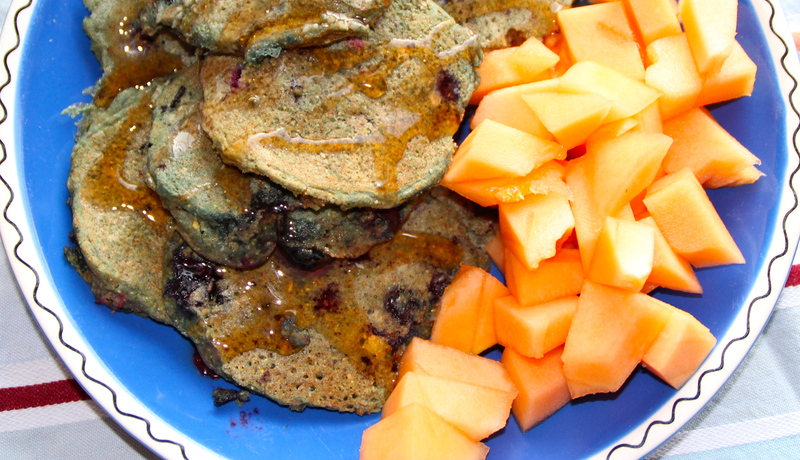 Warm blueberry pancakes with chilled cantaloupe on the side? Yes, please. So this family is never on the same page for breakfast choice. EVER. I really try to vary our breakfasts the best that I can. Some days I’ll whip up some oatmeal, other mornings I’ll bust out the egg/toast combo. Super crazed mornings will be cereal (although when are they all not crazed??) But no, never do I get all three kids to ALL like the same meal and on the same day. Sigh. With that being said, I have never been the “short order cook” type mom. My philosophy in the morning: “if you do not like it, you know where the fruit bowl is…”. For this morning, I did pancakes. I usually do not have time for pancakes during the week, but fortunately it is school vacation week and I actually have a little bit more time. Only a little. But this is great because this means: less hurrying, less yelling, and less force feeding because we have 2 minutes to be out the door. This recipe calls for two whole grains. Fiber, baby! Pour milk and water into a bowl and mix. Whisk in flour, cornmeal, baking powder, baking soda, salt, cinnamon, and honey. Whisk thoroughly but be careful to not over mix. 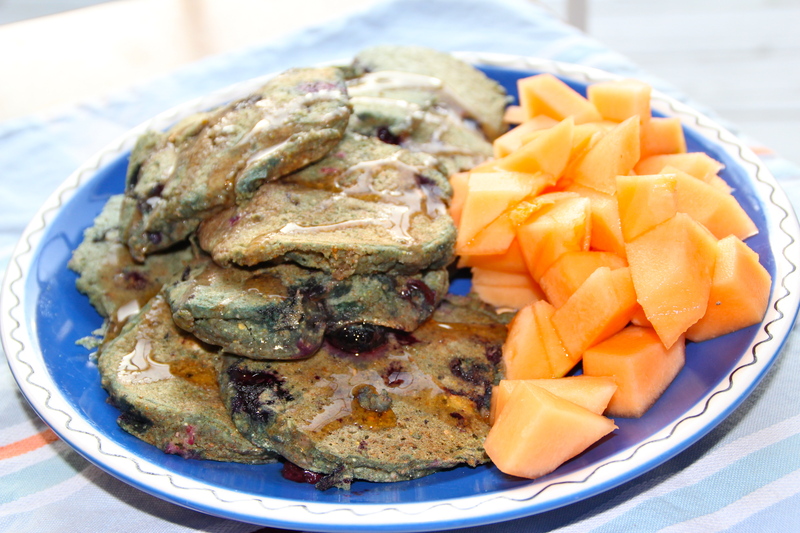 Fold in the blueberries.Let batter sit for 5 min to thicken. 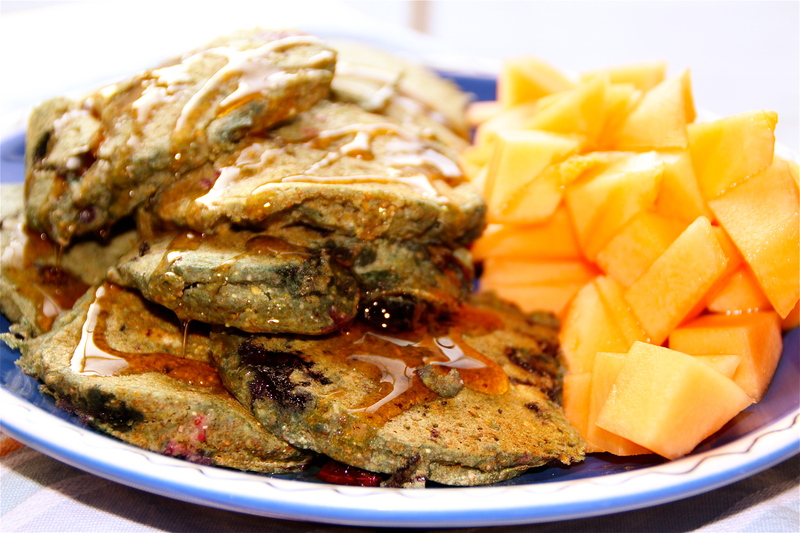 Pour pancakes onto preheated non stick pan or griddle. Make sure pancakes are cooked evenly before flipping. Serve immediately with pure maple syrup. Enough for 3 hungry kids. Important note on breakfast struggles: On the days when I want super rock star status, I will throw in the towel, announce defeat and make super easy and fab Trader Joe’s cinnamon rolls. The kids love me a little lot more, and I love the halo effect it casts over my head. 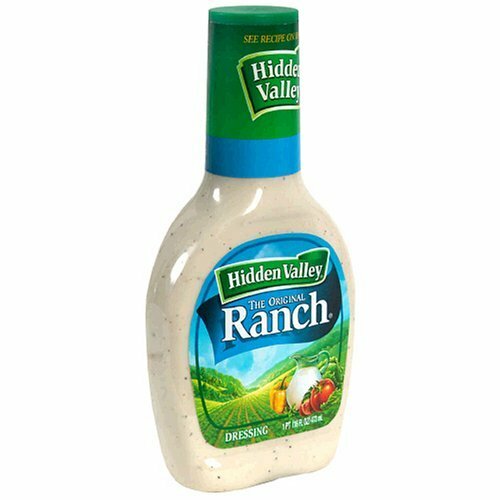 So I am not going to pretend that this recipe will taste exactly like your store-bought bottle of ranch. But I’ll tell you what? It’s pretty dang good. Minus all of that artery clogging goop. 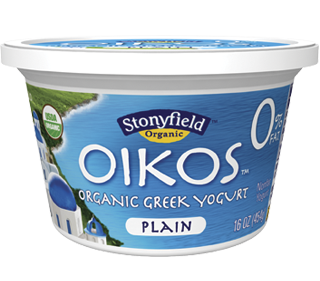 Made with soybean oil and has insane calories in just 2 tablespoons (140 cal). Who the heck only uses 2 tablespoons? Certainly not me. Loads of calcium, no sugar. Mix well in a separate bowl. Creamy baby! Mix well in a separate bowl. Easy. Right near the croutons at your grocery store. No excuses. Oh and skip the croutons. 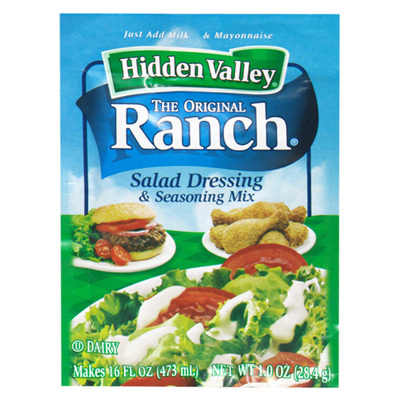 Those will sabotage your salad. Place this on your table with a pile of cut up veggies and I guarantee people will be munching. Whole wheat pizza dough. Delicious base for pretty much anything. One of those staple items that appears on our weekly grocery list. 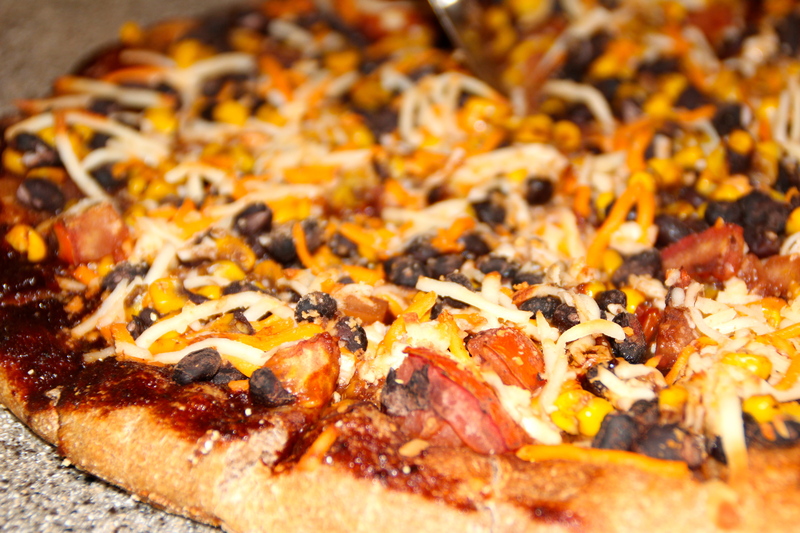 Tonight I decided to switch up the routine a bit and do a southwestern style pizza, minus the chicken. Who doesn’t like pizza for dinner?? 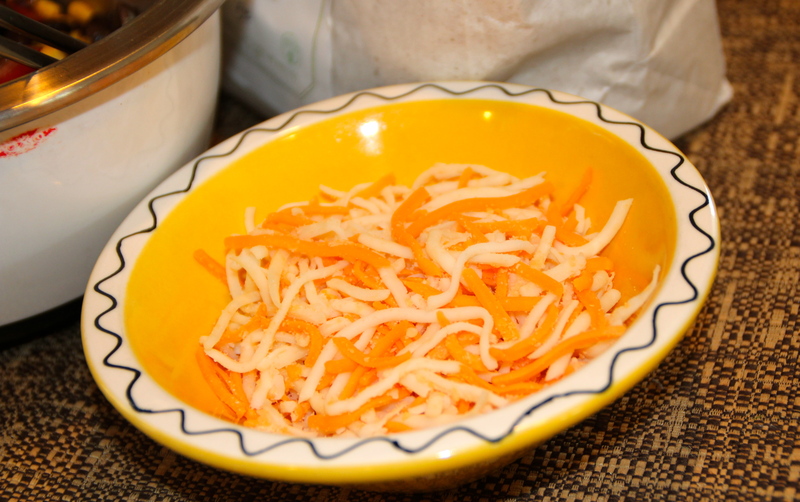 The cheese: I used Daiya, a non-dairy alternative, but any shredded cheese will do. I won’t judge. Promise. Basic ingredients: BBQ, Corn Meal, Pizza Dough. Nothing sketchy that you can’t pronounce. Preheat oven to temperature on pizza dough directions. Spray pan if using a non-stick pizza pan. Combine tomato, beans, and corn in a medium bowl. Sprinkle cornmeal onto pizza pan. 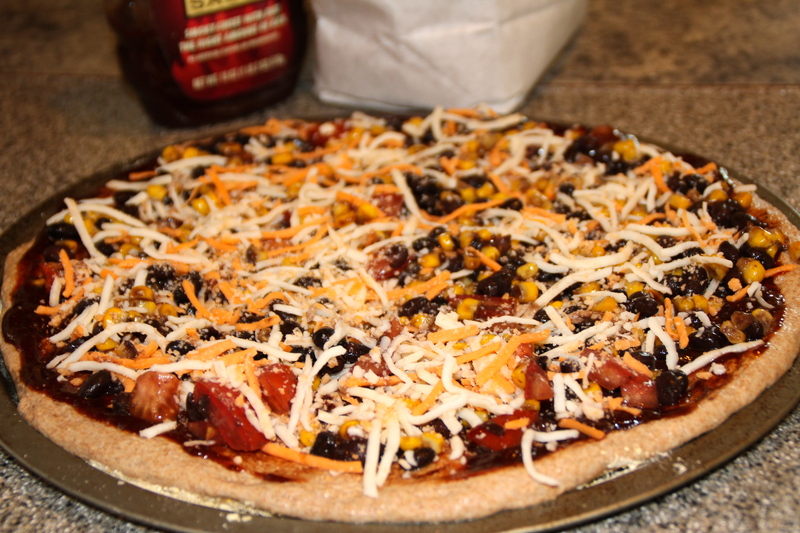 Spread barbecue sauce on the dough. 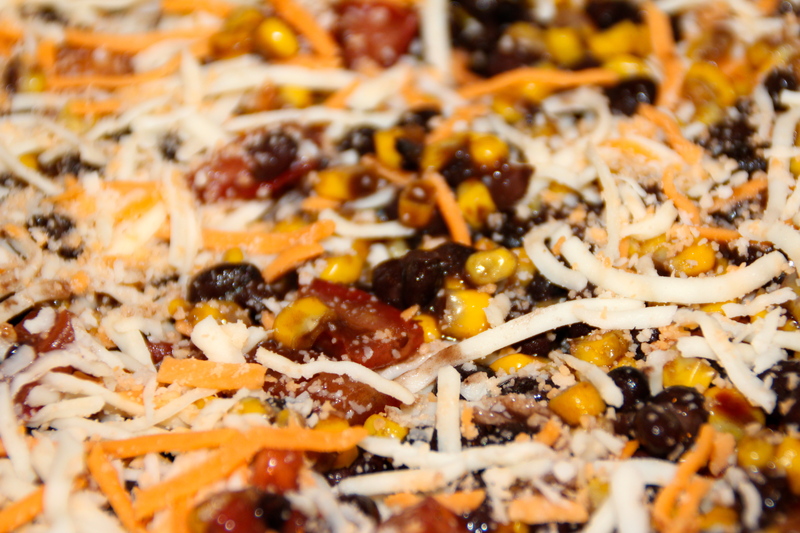 Top with the cheese and tomato, bean, corn mixture. Cook for 10-15 minutes depending on your oven and desired “crisp” needs. By the way, this pizza is fabulous cooked on the grill. I would have fired it up, but mine is out of commission. Wagh.